Rupert Murdoch, one of the world's most influential media executives, is preparing to step down as CEO of 21st Century Fox, according to three people with knowledge of the matter. 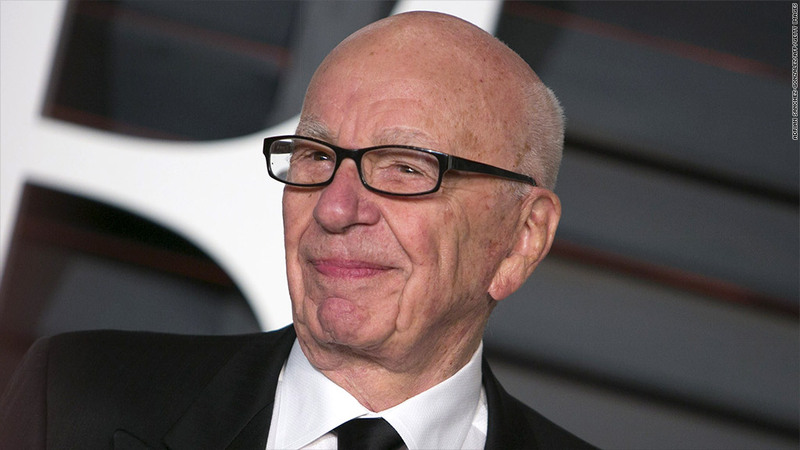 Murdoch, 84, is expected to hand over responsibility for the media empire to his sons James and Lachlan. James will be CEO; Lachlan will be co-executive chairman. "He really wants his boys to run the company together," one of the sources close to Murdoch said. Another source described the transition as a "title change," with the elder Murdoch still having the final say as executive chairman. "He will be actively involved," the source said. But it's a title change decades in the making with wide-reaching consequences for the media industry. The succession plan was first reported by CNBC's David Faber on Wednesday morning. Chase Carey, the president and chief operating officer of 21st Century Fox, will leave those posts as James takes over, but Carey remain an adviser to the elder Murdoch. Carey signed a two-year contract last June. The changes will be discussed at a 21st Century Fox board meeting early next week. It is unclear when the changes will take effect. 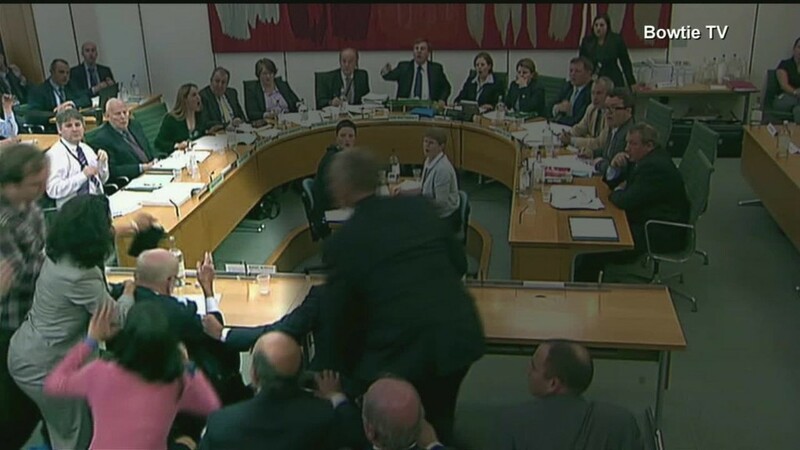 A Murdoch spokeswoman declined to comment, other than to say, "the matter of succession is on the agenda at our upcoming, regularly scheduled board meeting." Longtime Murdoch watchers -- and there are many -- said the power-sharing arrangement is a logical step by the elder Murdoch, who has been grooming his sons for decades. "Rupert Murdoch's long game works," NPR's David Folkenflik, the author of a book about Murdoch, tweeted. He called the 2011 phone-hacking scandal at Murdoch's newspapers "a faint if damning memory." James Murdoch stepped down as head of BSkyB after he became ensnared in the scandal that rocked the Murdoch's British newspapers. Afterward, the family empire was split into two companies, News Corp. and 21st Century Fox, and James was promoted to co-chief operating officer of 21st Century Fox, alongside Carey. 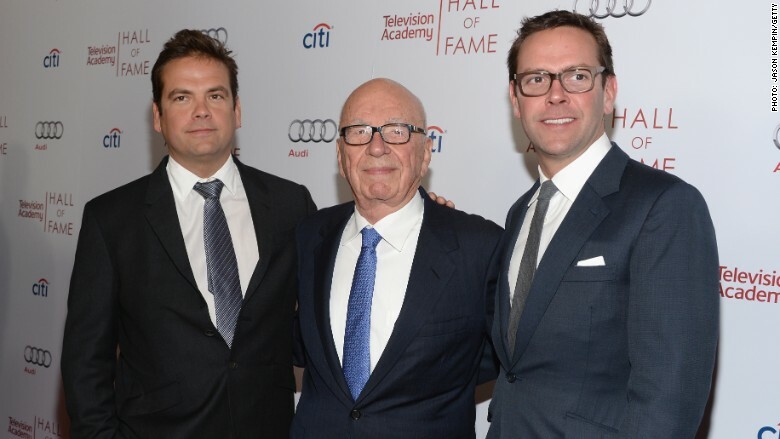 Rupert Murdoch and his sons James and Lachlan. News Corp. is run by Robert Thompson, who has previously run the Times of London, Dow Jones publishing and the Wall Street Journal for his close friend Rupert Murdoch. The two companies are comprised of different types of media properties. News Corp.'s business is largely in publishing, with companies such as the Wall Street Journal, the New York Post and HarperCollins in its portfolio. 21st Century Fox, the bigger of the two companies, is in the film and broadcasting business, with holdings such as the Fox News Channel, Fox Sports and the 20th Century Fox movie studio. Rupert Murdoch's lucrative career spans several decades, beginning in the 1950s when he took over a company in his native Australia that owned a single daily newspaper. In the years that followed, the company acquired more newspapers in Australia and the UK. By the 1980s, News Corp. acquired The Times and Sunday Times, as well as HarperCollins. He is a legend in the industry -- respected by many, feared by many. One of his most significant properties in the United States is Fox News, which launched in 1996. The outlet has gone on to dominate cable news and wield influence over Republican party politics. Fox News will reportedly make more than $2 billion this year. Fox News reported on Thursday morning that its chairman and CEO, Roger Ailes, "Will continue to run the news network, reporting directly to Rupert Murdoch." News of the family transition immediately cast ripples throughout the media industry on Thursday. Shortly after CNBC broke the story, Murdoch was a trending topic on Twitter. But Murdoch's own Twitter feed, which serves as a platform for the mogul's ruminations on politics and other contemporary affairs, was silent.